Boyana Inc.’s achievements are fuelled by our fanatic attention to every detail, proven track record of success, wealth of knowledge of the Bulgarian real estate market, tough negotiation skills, our honour and integrity, our respect for our valued clients. As the founder of Boyana Inc., Anton Karayanev is regarded by clients as their trusted adviser and highly-skilled negotiating partner. It is because of his passion and wealth of knowledge about Bulgarian real estate, his eye and appreciation for beauty, his extensive sales, marketing and negotiation experience that Anton is an indispensable Boyana Inc. client asset. Anton decided to co-found Boyana Inc. because of his life-long love affair with the nature and spirit of Boyana — the place where many years ago his mother bought a plot of land instead of a fur coat. That plot of land is Anton’s beloved home today, where he enjoys spending time with his lovely wife, two children, grandchildren, two beautiful dogs and his African Grey. While he owns and manages a number of properties with his wife Anastasia today, Anton has never forgotten the simple pleasure of dreaming up a first home, of planting a first tree and he knows what it takes to turn a house into a home. Prior to founding Boyana Inc., Anton managed the Bulgarian operations of a leading global specialised products and engineered solutions provider. His countless accomplishments include new markets development, growing a local team from 1 to over 20, numerous multi-million dollar deals, and, most importantly, the satisfaction of establishing the company’s name as a recognised leader in the Bulgarian industries. 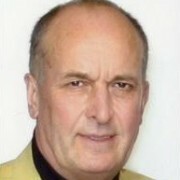 Anton’s past professional engagement also include trade, foreign missions, business development. Anton is fluent in German and English, and is very good in Russian and Greek. 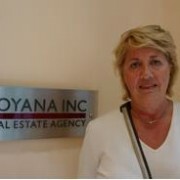 Anastasia has many years of valuable experience as a successful property owner and manager. Her secret weapon is her natural ability to artully navigate the challenging Bulgarian real estate market, spotting the right opportunities for our clients. Also, Anastasia’s flair for interior design contributes to turning every Boyana Inc. property into a cozy home or a comfortable office. Anastasia’s passions outside of real estate include spending time with her children and grandchildren, gourmet cooking, travelling around the world.